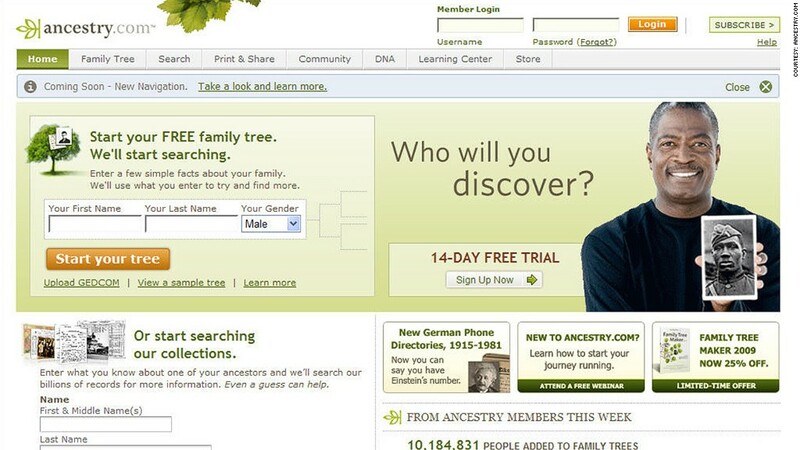 Ancestry.com has agreed to be purchased by a private equity firm. Ancestry.com, the online genealogy site, agreed Monday to be purchased by Permira, a European private equity firm, for $1.6 billion. The purchase price of $32 a share is a 9.7% premium from Friday's closing price. Shares were up 7.9% in premarket trading on the news. The purchase price is a 41% premium from its closing on June 5, just before a press report that the company had hired Qatalyst Partners as an adviser to look into a possible sale of the company. Shares of Ancestry.com (ACOM) jumped 10.7% on heavy trading the next day, and got as high as $33.80 a share in early July before retreating. Reuters had reported in September that two other private equity firms, Hellman & Friedman and TPG Capital, had also made bids for the company. "Our board conducted a thorough sale process, and we are pleased to be able to offer our stockholders this premium transaction," said company chairman Charles Boesenberg in a statement. The company will remain based Provo, Utah. Ancestry.com's CEO Tim Sullivan, and Howard Hochhauser, its chief financial officer and chief operating officer, will maintain a majority of their equity stakes in the company as part of the transaction. Affiliates of Spectrum Equity, which together own approximately 30% of Ancestry.com's stock, will also remain investors in the company. Ancestry.com is a 15-year old company that went public in 2009. It has more than 2 million paying subscribers who can use the site to search more than 10 billion records. It has been profitable since going public.